1 Choose ahead how much attractions and rides you want to experience. 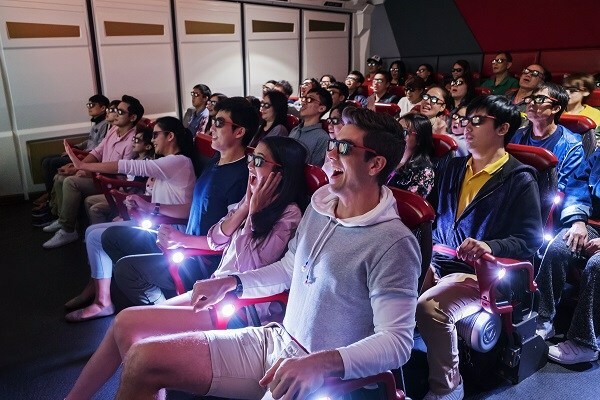 Browse through a list of Hong Kong Disneyland's entertainment and attractions way ahead of your date of visit – count how much rides, shows, character meet and greets and other activities you'd want to check out, so that you can approximate if one full day is enough, or if you need two full days for the total Disney experience. Some attractions have age, height, or health requirements so keep these in mind if you are traveling with family, children, and elderly. 2 Choose a weekday over a weekend whenever possible, to avoid queues. File that vacation, leave in advance because it'll definitely make a difference if you head to the park during a weekday, compared to a jam-packed Saturday or Sunday, which is when everyone's schedule is free. Long lines to enter and to access different attractions in the park will eat up your time, and may make the little kids impatient. 3 Book your tickets in advance online to get a chance to score good deals and discounts. The Hong Kong Disneyland website has all the essential information for ticketing and will display whenever there are seasonal discounts or promotions for admission. Purchase your tickets online so you don't have to rummage for your wallet or exchange Pesos into HKD. 4 Make the Disneyland trip your first day in Hong Kong. Start your vacation with Disneyland, since it's already conveniently located nearby the airport! Another benefit of making it Day One of your Hong Kong itineraries is that you're still refreshed and ready to go --- save the food trip and shopping afterward which can really load up on your walking energy (you'll need lots of it). 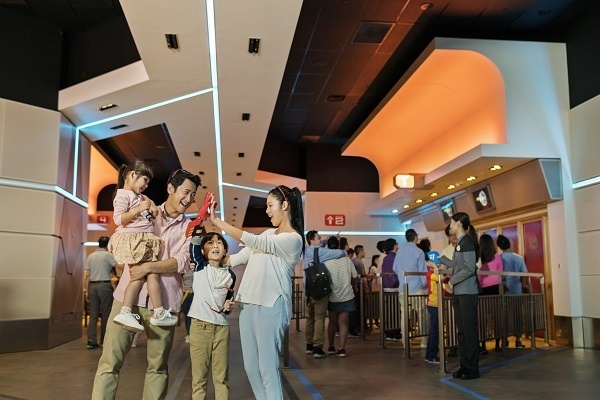 You can access Hong Kong Disneyland Resort in Lantau Island, Hong Kong from the Hong Kong International Airport by taking the Mass Transit Railway (MTR) from the airport. Just Board the Disneyland Resort Line at Sunny Bay Station. 5 Get a FASTPASS ticket whenever it is available for an attraction. The FASTPASS is available on the park grounds and is complimentary with your park admission ticket. Certain attractions and rides have this special pass at certain schedules to shorten your wait time and not have to line up when queues get long. 6 Download the Hong Kong Disneyland app to have all the essentials in your phone. The mobile app has super useful features like waiting times for rides so you can plan out your walks around the park and when to have a bite and quick breather, GPS-enabled maps so that you don't get lost, event schedules, and more. You won't even have to use your cellular data or roaming if you access the guest wi-fi in the park – it's available by the main entrance, the parade route, and most shopping and dining areas. 7 Don't miss out on the newest attraction: the first and only Marvel-themed ride in the world! 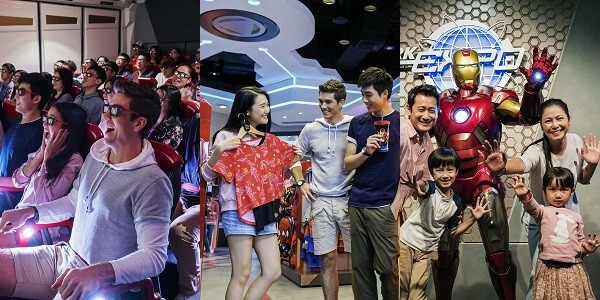 The Stark Industries lead by Tony Stark has chosen Hong Kong Disneyland as the base of the all-new Stark Expo—so you can now have the full Iron Man Experience. Step inside the world of Stark Industries at the Stark Expo to check out high-tech masterpieces and Stark memorabilia, soar and fly like Iron Man at the Expo Edition Iron Wing Mark VIII piloted by J.A.R.V.I.S., meet and greet Iron Man himself, and enjoy Iron Man-themed food and exclusive Iron Man merchandise at Iron Man Expo Store. 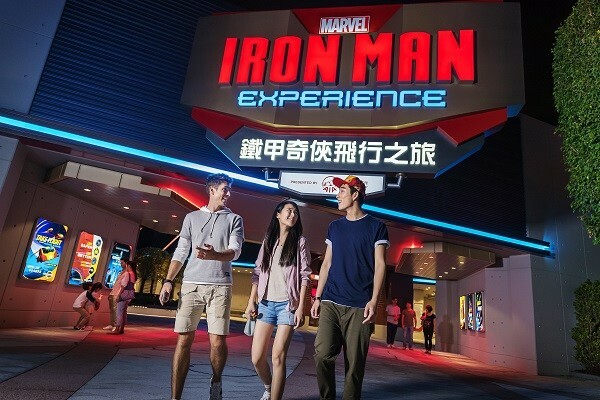 If you want to go full-on Marvel, you can even have a slumber- worthy of a superhero when you avail of the Iron Man Themed Room Decoration Package at Disney’s Hollywood Hotel and Hong Kong Disneyland Hotel. 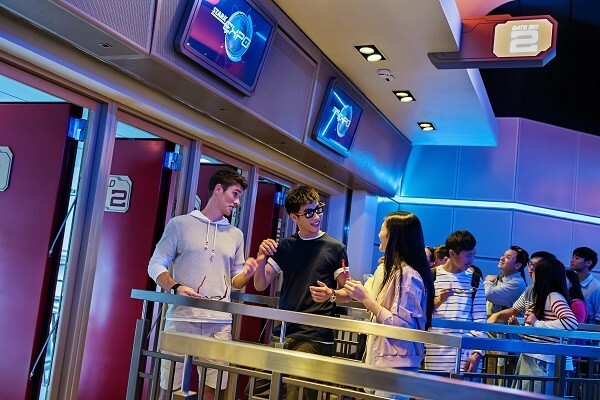 The Stark Industries lead by Tony Stark has chosen Hong Kong Disneyland as the base of the all-new Stark Expo--and we've got the lowdown on how you can have the full Iron Man Experience.